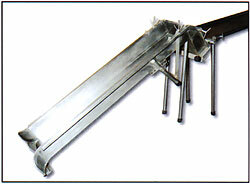 The declumper section is fabricated from stainless steel. The grader and framing are fabricated from aluminum to reduce the weight of the machine. The drive system can be electric, hydraulic, or gas engine. 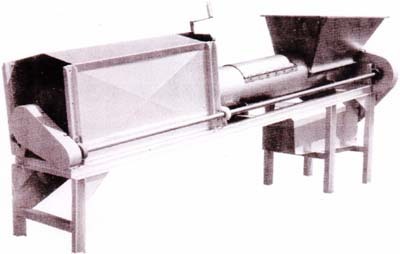 This machine is designed to separate clumps of mussels spat into individual mussels and size them according to width. 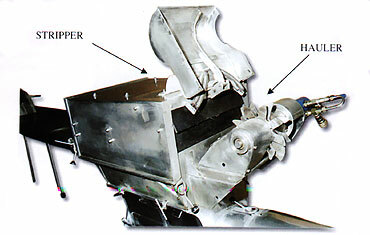 The clumps of mussel spat are placed into a hopper and are gently separated in the declumper by means of rotary blades. Separated mussels empty into the grader section containing spaced rods through which the individual mussels pass according to width. Mussel grading table made of stainless steel, the grading table has height adjustments, and a hand lever to adjust the space between the grading bars. To grade mussels. Two sizes are available for grading mussels 11-22mm and 6-12mm in size. There are built-in devices to hold bags for easy bagging. The mussels are put on the table, and pushed back and forth so that smaller mussels and broken shells fall through the grating. Two bags can be attached to a hole in the table, so the mussels can easily be pushed into them. To guide a continuous longline into the mussel hauler/stripper (M-500) or another machine. 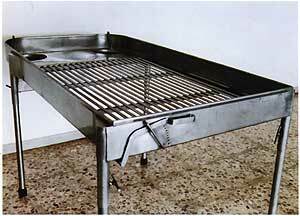 The access ramp is made of 1.5mm thick stainless steel plate. The outer edges are bent outwards. The inlet for the rope is rounded to facilitate its entry without detaching the mussels. Put in place at the stern of a boat, in line with other equipment being used. The mussel-laden rope runs up the access ramp, to the hauler/stripper or another machine. Rounded to avoid accidental detachment of mussels. Has an incorporated vertical roller to control longline.